China’s absence is glaring. Moreover, while fast-track authority makes the TPP far more likely by prohibiting death by Congressional amendment, this practical step also underscores that the administration and Congress (primarily Republicans) both view this deal through a strategic lens and its potential to cement non-Chinese relationships. The actual details are seen as far less important and have been largely entrusted to multinationals’ lobbyists. When these complex and now highly secretive terms debut, Congress and the public will likely be railroaded into their wholesale acceptance. The TPP thus offers a new iteration of the United States’ and other empires’ longstanding use of market access to cement informal control over allies and client states. In the early Cold War, as European and Japanese empires in Asia dissolved, Washington first bound most of the western Pacific’s states to US protection through the defense of South Korea (1950-1953), ANZUS (1951), SEATO (1954), and treaties with the Philippines (1951), Japan (1951), and Taiwan (1954). This web of alliances then anchored enormous US development aid, including preferred access to the US market and to the new US-designed Bretton Woods institutions, such as GATT, the IMF, and the World Bank. The result was stupendous growth in East Asia through export-driven manufacturing to the US market. The TPP seeks to reinvigorate and update those Cold War-born trade ties for the twenty-first century. Driven by the perceived decline in American influence, this free trade deal is actually creating a US-led zone of preference—one that from the outside looks deliberately protectionist against Chinese competition. As if to underscore that aim, the Obama administration is simultaneously doubling-down on military ties with Australia, Japan, and likely soon both the Philippines and Vietnam. In no uncertain terms, the TPP is thus the trade preferential half of the much vaunted “pivot” to solidify US influence in the Asia-Pacific. In this regard, the TPP provides a remarkable reflection of Britain’s efforts after the First World War to reinvigorate its own far-flung empire in the face of rising German, American, and Japanese economic competition. 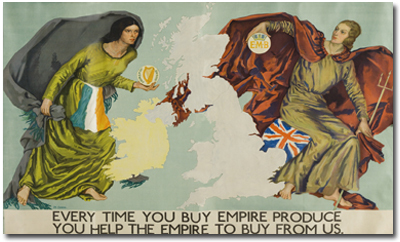 What became the Imperial Preference system first appeared through unilateral initiatives by Canada in 1897, followed soon thereafter by New Zealand (1903), South Africa (1904), and Australia (1907), all of which enacted limited preferences for British-made goods. Then, between 1915 and 1922—as the British Empire reached its territorial maximum but slipped from economic preeminence—imperial officials deluded themselves into thinking that this trade architecture could become a global economic zone. Twenty-six British colonies and dominions enacted extensive preferences for British-made goods. When the Great Depression hit and nations such as the United States raised their own trade barriers, Imperial Preference reached its zenith through the 1932 Ottawa conference. The conference set even greater preferences, now primarily for Empire-made goods and raw materials into the British marketplace. Unfortunately for Britain, Imperial Preference grew more from imperial fantasies than sound economic theory. Britain’s primary trade relationships were not within the empire, but instead with its competitors on the European continent and the United States. Imperial Preference did not change that and it did not improve Britain’s position against these rivals. Instead, as economic historians have argued, Britain continued falling behind the United States and Germany in the following areas: capital market efficiency; investments into new industries and technologies; and the development of vertically integrated large-scale corporations. Added to which, by the 1920s the United States had outpaced Britain as the world’s creditor and replaced it as the principal trading partner of dominions such as Canada. In the end, this same rival easily shattered Imperial Preference. Washington vocally opposed Imperial Preference from the beginning and at the first opportunity used its enormous postwar financial leverage to force London to abandon the system. 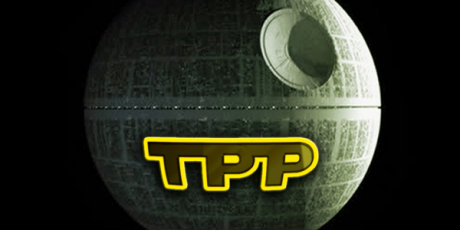 What might Imperial Preference Bode for the TPP? Without overdrawing the comparison, such trade preferences cannot on their own shore up US economic influence. No miracle trade boom will ensue. Chinese trade competition and China’s ensuing influence will remain present realities to all TPP signatories, from Australia and Japan to Chile. Instead, Washington must buttress the TPP’s reduction of trade barriers with domestic investments to increase America’s actual competitiveness. In addition, the Obama administration should not repeat London’s mistake of crafting its trade system around imperial ideals, while ignoring economic realities. 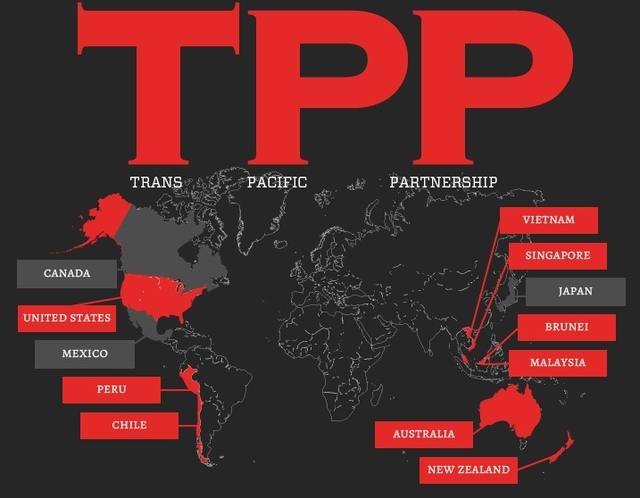 In the end, US trade with TPP signatories such as Peru, Brunei, and New Zealand is minor and will remain so. The TPP must instead incorporate more of the country’s actual leading trade partners such as Japan—most especially South Korea, Hong Kong, and Taiwan. As three of China’s key partners, these potential signatories’ integration would tremendously increase China’s incentives to work with and even sign up for this American system, as well as to comply with its standards. As currently structured, the TPP will instead encourage China to continue pursuing a parallel system through new institutions such as the AIIB, the FTAAP, and its “Silk Road” projects in Central Asia. It may also encourage China’s leaders to look for openings to crack the system, as the United States did to Britain in the late 1940s. Hong Kong in particular offers a unique opening for both sides. Many forget that Hong Kong retains separate law courts, economic regulations, and its own trade authority, from its US-tied currency to its own WTO membership. As a result, most of China’s top private companies such as Lenovo are actually headquartered in Hong Kong. The Special Administrative Region’s inclusion in the TPP would serve both Beijing and Washington’s interests: granting mainland Chinese companies access to this new market zone through the territory, while incentivizing their compliance with the TPP’s labor and environmental regulations via legal enforcement in Hong Kong. As it was for the renewal of US-China trade in the 1970s and 1980s, Hong Kong thus offers an irreplaceable gateway to bridge imperial rivals into potential partners. Real partnership is worth underscoring. Imperial Preference now looks naïve in its dreams of changing geopolitical realities through reliance on trade with African and Asian colonies. China is here to stay and the United States must accept China’s legitimate international clout in the Pacific or risk dangerous escalations, as George Soros recently underscored in The New York Review of Books. Any TPP in which China is not an eventual partner will be at best ineffective and potentially even dangerous. The real story of Imperial Preference here — and it is not an accident . that originally it was a *settler-colonil* as much as imperial — is the the TPP elder sister, the Transatlantic Trade Agreement, still in the works. Without downplaying the importance of this treaty and the important analogy made in this piece. Thanks for it.